Kierra is an empowering personality whose journey and words are beyond inspiring. Kierra is an African-American who has a very special relationship with Africa. 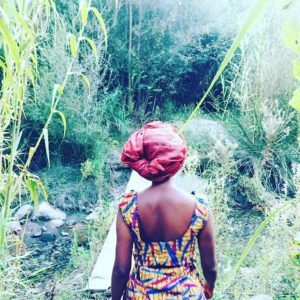 She recently published a poetry collection, Roots & Tides, which details her initial travels through Africa. This work demonstrates the importance of knowing oneself. A genuine awareness of our identity definitely matters for self-development and self-realization. I am impressed by her healing process, her consistency and her sincerity in bringing out the jewels of her being. Her passion for writing and travelling and her fascinating creative work which bring out those two paradigms together are particularly powerful. 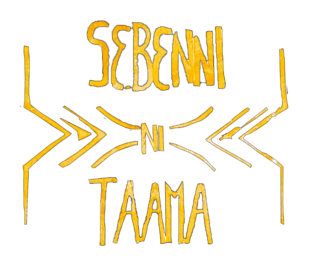 It is exactly what Sebenni ni Taama stands for, writing and travelling as tools serving a higher purpose. 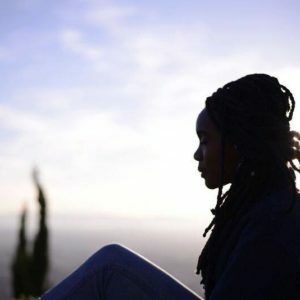 We talked about self-hate, the soul-searching process, the lessons embedded in her relationship with Africa, the dangerous media portrayal of Africa, the brainwashing of the Black community, the value in travelling alone and so much more. You can find out more about her work at kierrayvonnefields.com, follow her travels on Instagram @keeksandfreaks and purchase Roots & Tides. As an African-American what has been your relationship with Africa? Through much of my early youth, I was out of touch with my African origins. My great great grandparents were born in America, so that is all my great grandma knew (although she has always had a deep interest in Africa), all my grandma knew, all my mother knew, and subsequently, all I knew. 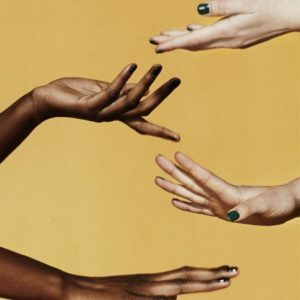 Having been raised in predominately white spaces as a child, I was socialized to believe that being Black was bad enough, so to claim my African roots would have been seen as ludicrous. We are seldom taught to take pride in our heritage, and I think that identifying as Black without acknowledging/understanding our African roots is where a lot of the trouble starts. From this, our sense of identity is fragmented and based almost exclusively on a history that has been manipulated by an entity that seeks to maintain dominance by suppressing the truth. It is through this crime (among others) that the Black community has been brainwashed and oppressed. So naturally, the half truths and blatant lies we are taught, institutionally, from childhood leads to the development of deep seeded insecurities and a whole heap of self hate. It wasn’t until I moved to Fort Greene, Brooklyn at the age of 19 that I began to see how special a people we are. I had all these examples of smart, artsy, stylish, eccentric, beautiful, proud Black/African American people, and to be completely honest, it was my first time being surrounded by that. That’s not to say I didn’t have examples of it before, but we are everywhere in Brooklyn. But I still felt like something was missing. I still sensed that there was a component to my identity that ran deeper. It was like there was always this music playing in the background, at first so softly I could tune it out, but the more I came to know myself and my people the more clear and resounding it became until eventually I couldn’t ignore it anymore, until I could no longer help but sing and celebrate this song. Not knowing where to start, but caring to learn, I began to travel the world in search of greater cultural understanding. And I found plenty! It’s a beautiful world out there, and all of my travels have broadened my perspective, but It wasn’t until I got to Africa some years later that I would hear the music loud and clear. Coming to know Africa has enriched me. It has expanded my sense of self love—in fact—it has made it more real. I realized that all that creativity and style that runs through Black people the whole world over runs strong through African people. It became so clear, all that swag that Black people have without a doubt starts at our African roots! 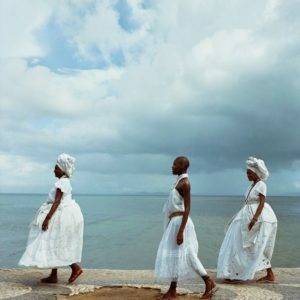 So as an African American who has come to form a relationship with Africa, I feel a cultural and familial connection to the continent. I feel protective of it—as I do for all of the diaspora communities. But I feel especially protective of Africa because I believe that if we protect her, she could very well save us all later down the line! I think that Africans and the diaspora should work together on this. I’m happy to see that many African Americans are contributing in their own way to the future of Africa. We are in a position to make a positive impact on the perception and progress of the continent. I do know that there are still many African Americans who do not have an accurate notion of what Africa is because they haven’t been and/or have bought the lies sold by the Western media, but I believe that those of us who do know the truth can inspire change in our communities. In any case, I feel an obligation to do what I can. Knowing how the Western media continues to suppress the truth about Africa while simultaneously pillaging the land emboldens me to take a stand. Not a day passes where I don’t think about Africa. Why was it important for you to travel to Africa? I believe that I knew in my heart that a lot of what was said about Africa wasn’t true, even when I wasn’t consciously aware of it. There always seemed to me something insincere about the narrative, like a lot of what the media had to say was (and sadly, still is) in large part a construction with a nefarious agenda at its foundation. Even if I couldn’t articulate that before my travels, some part of me knew it intuitively. So when the opportunity to travel through Africa arose, I knew in an instant that it was kismet. Not only was I keen on seeing the truth for myself, but I believed that something larger than myself wanted me there. I was going to discover Africa for myself for a reason. I’m still learning what that reason is, but I do know that this is all heading somewhere—especially considering I have returned 4 times since my initial visit! Could you tell me more about your experience traveling alone in the continent? I always tend to travel alone, I find it highly enriching. That being said, It was great! It gave me all the freedom I needed to process my thoughts and feelings every step of the way. It allowed me to connect with new people everywhere I went. If I wanted to talk with my taxi driver for an hour about our views on religion, I could. If I wanted to play games with strangers and pretend I was from anywhere other than America, I could (without anyone calling me out!). If I wanted to meditate on the roof of my car in the desert, I could. The journey was my journey, and I could reinvent myself as a woman I admired more and more with each new experience. I also would like to know how creating (poetry, photography) about your travel has affected your life. The act of creating anything, for me, is always a process of learning and forming my own relationship with a thought, or object, or place, or whatever may be at the center of the artwork. So, writing and photographing my way through Africa was a way of making sense of what I was experiencing, or even just a means of documenting it so I could have it for later exploration. And I think, as is the nature with exploring or examining thoughts and feelings on a thing, it leaves an impression that in some ineffable way changes a person. So I doubt I can express all the ways that writing Roots & Tides, and photographing Africa has changed me, but I can say I am sending the art produced during the last couple of years into the world with a deeper sense of self, dedication, purpose, and fulfillment. How would you describe your poetry collection, Roots & Tides, and what it says about your feelings relating to Africa? On the surface, the poems may seem facile to some, but there is a lot of thought, observation, love, and newfound peace at the foundation of the poems. The poems in Roots & Tides (there are also meditations and a few journals) are certainly more simple in style than much of my previous poetry because I find Africa to be more simplistic than a lot of what I come from. Of course that isn’t to say that the continent isn’t complex; but when I’m in Africa a lot of my head noise goes away. I feel better able to discern the truly valuable matters of life from the frivolous ones. I feel more free to live in the present there. And so, the fact that the poems are free of a lot of abstraction, or intellectualizing, is actually a reflection of that. There is a “purity” to the collection that I believe is important to add to the creative discourse on Africa. Often, when an artwork is created about Africa there is an expectation that it needs to convey a certain tone. I imagine this collection will challenge that expectation. Fortunately, there is a lot of contemporary art and literature coming out that also challenge the notion. Africa is not one thing, Africa can be soft and meditative, and I think that’s the side of Africa Roots & Tides explores. Does Roots & Tides have to do with healing? I’m not sure how the reader will interpret the work, but for me the collection has a lot to do with healing. The sheer act of writing it was healing. It was through the creation of the collection that I established my relationship with Africa. I was clarifying (to myself) my perception of Africa. I worked through all those initial preconceived notions, and feelings of being “foreign” until I came to the understanding that I wasn’t foreign, but rather a woman of African ancestry who happened to be raised in a different society/culture. And so those feelings of being in some way out of place dissolved and what was left was the fact that I am Sister and Auntie, Daughter and Mother. Discovering how much pure love and concern I have for the children of Africa, and the animals, and the land, it gave me a sense of purpose that I didn’t have before. Honestly, it has helped me care more profoundly for the well being of all marginalized POC, and for the preservation of our entire planet; that paired with the strengthening of my sense of self has healed me immensely. It has liberated me. So I hope that finds its way into the work on some level, apparent or not.